Conversational Marketing is a customer-centric approach to marketing that enables marketing and sales teams to have personal, one-to-one, and real-time discussions with people visiting their website. It provides a more human buying experience and matches how companies sell to the way buyers want to buy. But what led us here? What are the benefits? And how can marketing and sales teams get started with conversational marketing? 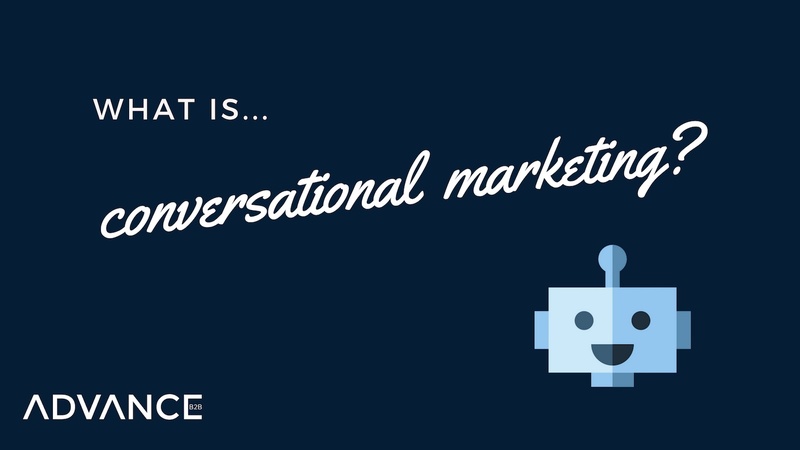 And who better to tell you about conversational marketing than our very own Advance Bot. So go ahead, start chatting with Advance Bot 🤖 to learn more about conversational marketing — but watch out, he has a sharp sense of humour, even for a bot. Shout-out: The bot icon in the header image was made by Freepik via flaticon.